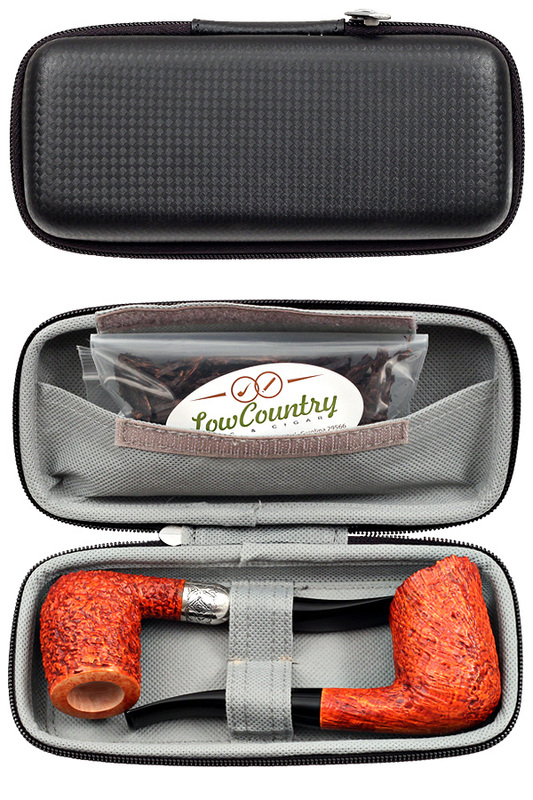 A simple, lightweight number, this pipe case features a modern style on the outside, and on the inside, a velcro-secured pocket as well as two pipe-loops. All-in-all this serves well as an inexpensive, yet still fashionable and functional semi-hard case for any favorite pair of briars. Great accessories for holding pipes. I have a few of these already, and really enjoy them. This is perfect case, sturdy, well made. My favorite case.